When the leaves are gone from the branches the surrounding architecture is revealed. The tall building is the Christodora House, and at 8th Street is the Newsboys’ and Bootblacks’ Lodging House and St Brigid’s Church. Here’s the area I’m naming “Cherry Grove” on my map. 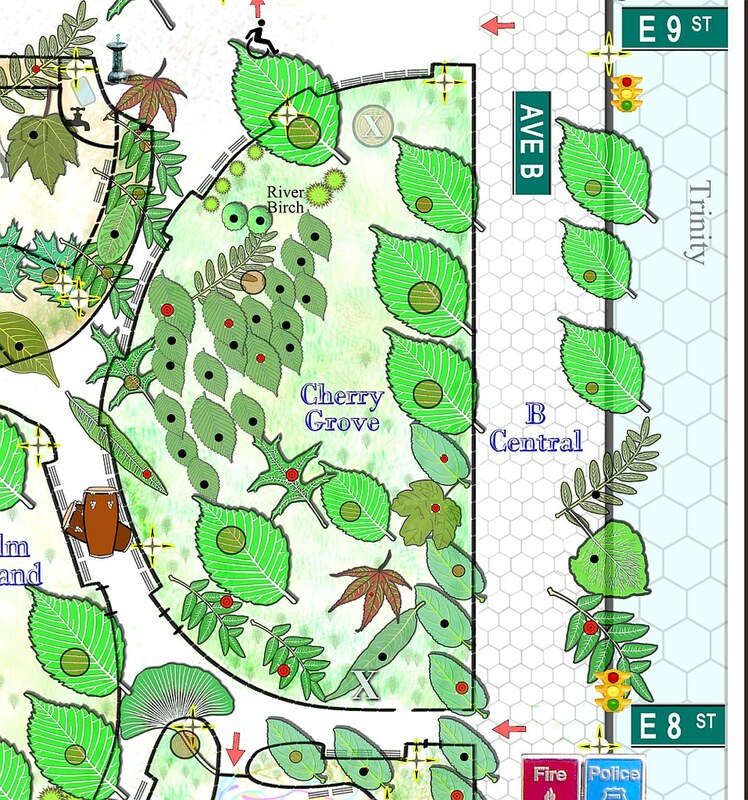 Before the many cherry trees were planted this past year, I called this area bounded by Avenue B and between the 9th and 8th Street entrances “The Great Eastern Forest.” I think “Cherry Grove” is more likely to be used. The largest American Elm in the park was at the northern end of this area, it was felled this year. The huge stump remains and is a wonder.